PRICE IMPROVEMENT! 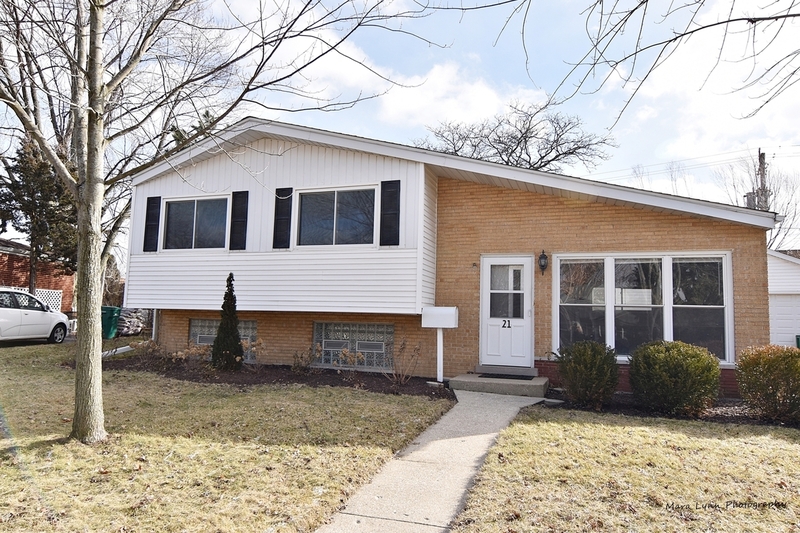 This beautifully updated split level in Lombard has tons of upgrades! Featuring 3 bedrooms and 2 full bathrooms. Hardwood floors are featured on the first and second floor including in the bedrooms for easy maintenance. Located close to shopping, and in walking distance to high school. The kitchen shows off modern decor with newer appliances and ceramic tile floors. Brand new roof on the house and garage. The true gem of the home is the custom garage of your dreams! Big enough for at least 4 cars and whatever outdoor equipment or "toys" you have with 40&apos;deep x 24&apos; wide space. Extra tall main garage door in addition to an 8 foot side drive in door. 220 volt electric and gas line to the garage. Exhaust power vents in the garage and so much more to even mention. The backyard is fenced in with an extra tall double swing patio gate. Highly desired Hammerschmidt Middle School. Do yourself a favor and explore everything is amazing property has to offer.